Luxury and lifestyle are the hallmarks of Hyatt Hotels, a world in which sterling Park Hyatt resorts reflect exclusive locations, the finest in elegant taste, premium accommodations, and world-class dining. Their vibrant Andaz cousins create fresh and stimulating environments that welcome guests to live inspiring experiences through a kaleidoscope of local culture. In the past year alone, three of these dazzling Hyatt resorts have opened their doors in North America’s most desirable destinations. 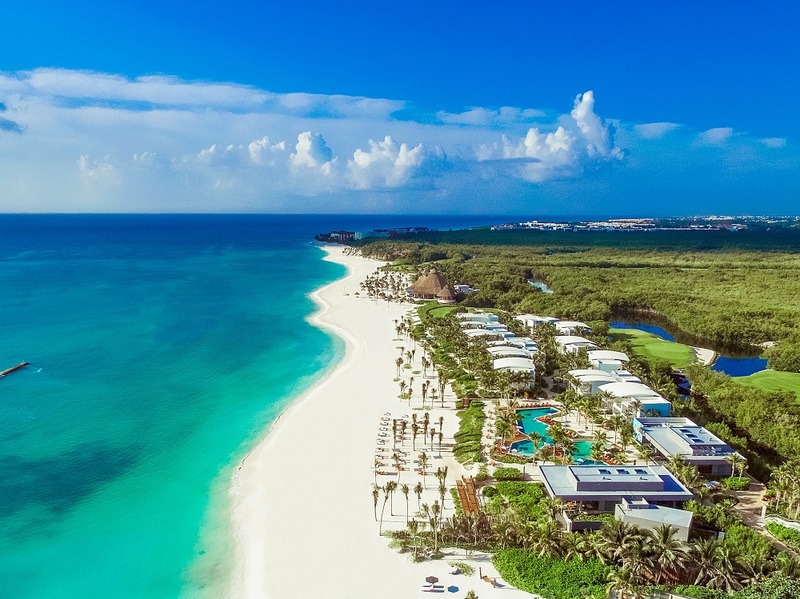 The newest addition to the idyllic eco-destination Mayakoba complex just north of Playa del Carmen in the Yucatan, Andaz Mayakoba Resort Riviera Maya immerses guests in a hidden beachfront paradise with six miles of freshwater canals surrounded by exotic mangroves, lagoons, flora and fauna, as well as tropical birds. With miles of nature trails, it’s an ideal landscape for walking, jogging, biking, and bird-watching. And you can also explore the lagoons and canals on a guided kayak tour. Winding through this same exotic landscape, El Camaleón Golf Club – designed by links legend Greg Norman – is a par-72 course that’s also home to the annual PGA Tour OHL Classic, the only PGA Tour event in Mexico. Not surprisingly, it’s a challenging layout, so take time to sharpen your skills at Jim McLean Golf School. 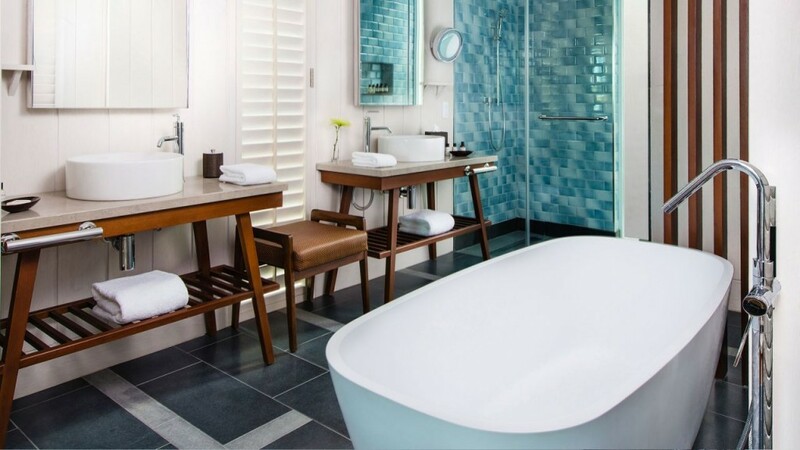 After soothing your aching muscles with Mayan-inspired healing rituals at the acclaimed Naum Spa, retreat to a spacious open-layout room or suite with invigorating rain showers, deep soaking tubs, and superb views of Banana Bay. 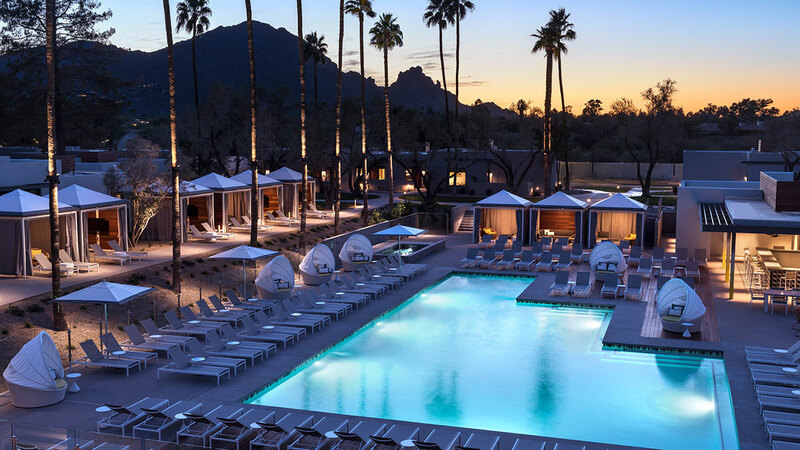 Andaz Scottsdale Resort & Spa, applauded on Condé Nast Traveler’s 2017 “Hot List” and “Readers’ Choice Awards,” dazzles with its mid-century modern design, a true reflection of timeless Southwestern aesthetic (with cues reminiscent of Frank Lloyd Wright’s nearby Taliesin West). 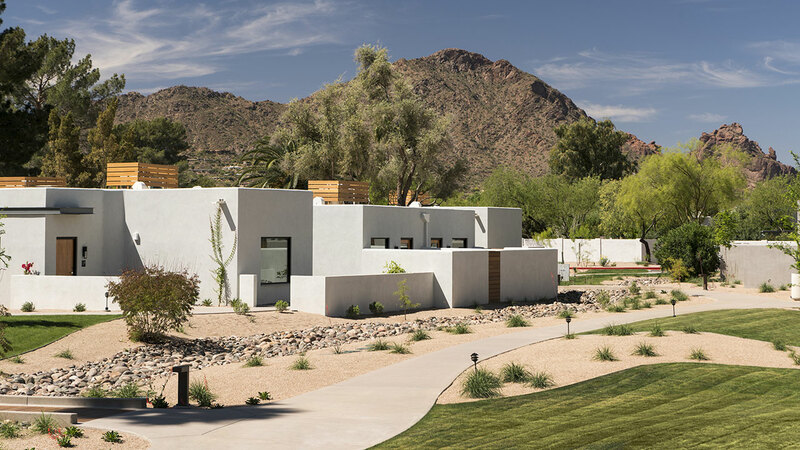 Nestled in beautiful Paradise Valley, amid the spectacular Sonoran Desert and overlooking iconic Camelback Mountain, this sparkling “lifestyle resort” takes its unique inspiration from the world of art and has even partnered with the acclaimed Cattle Track Arts Compound for studio tours and interactive workshops. Guest accommodations are individual retreats, encompassing 201 sleek rooms and suites – named for legendary designers like Eames, Saarinen, and Albers – in minimalist-style casitas with Scandinavian furnishings, works by local artists, the latest tech amenities, walk-in marble showers, and private terraces with mountain views. The splendor of the Sonoran Desert couldn’t be a more appropriate setting for care of the body and spirit, and the Palo Verde Spa & Apothecary assuredly fills the bill here. Give yourself over to an authentic, personalized spa experience that blends desert elements with locally sourced botanicals and natural aromatics – and leave refreshed, revitalized, and renewed. Expectations ran high for the opening of Park Hyatt St. Kitts. A few months later, well, “It has certainly been worth the wait,” said Forbes. 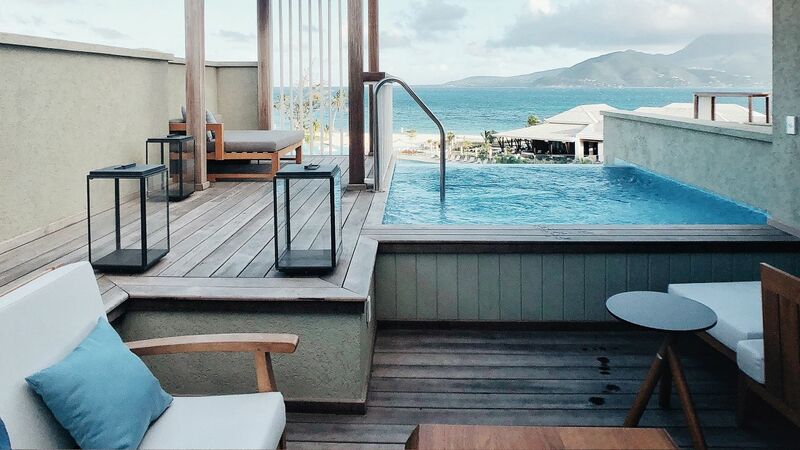 Exhibiting contemporary architecture with a timeless feel that evokes the rich historic roots of St. Kitts, the resort sits on a golden-sand beach along Banana Bay. Guests enjoy the highest levels of luxury in spacious guest rooms and suites with high ceilings and floor-to-ceiling windows that invite the beauty and color of the outside in. 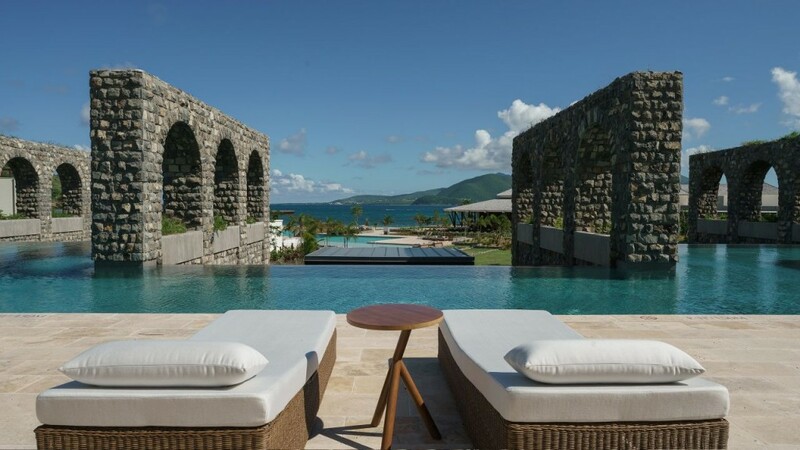 Many of the suites offer individual pools and private sundecks with unobstructed views of the Caribbean Sea and the neighboring island of Nevis. 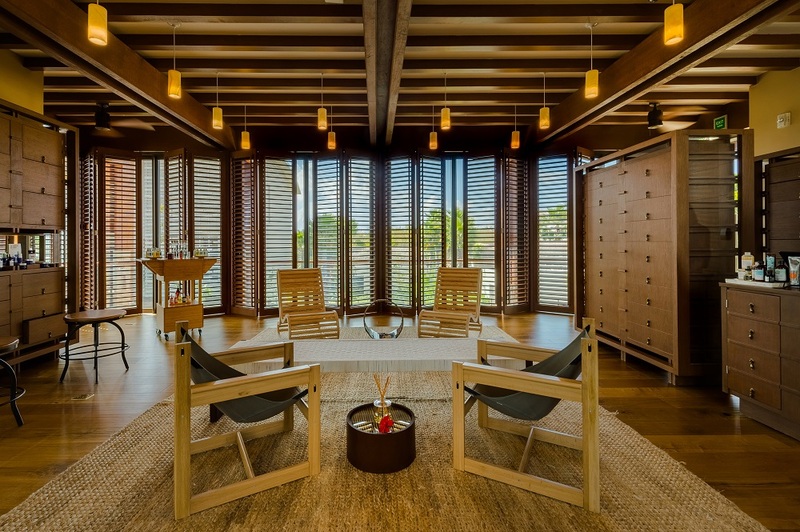 The Robb Report says, “The resort’s pièce de résistance, however, is undoubtedly its Miraval Life in Balance Spa.” And they’re not wrong. Guests looking for rest and rejuvenation can retreat to the tranquil sanctity of the spa’s nine treatment rooms for a selection of body and facial treatments, and massages including Watsu therapy. Whatever your choice of destination, your travel agent offers end-to-end planning for every kind of vacation. Together with GOGO Vacations, your local travel agent will get you there.